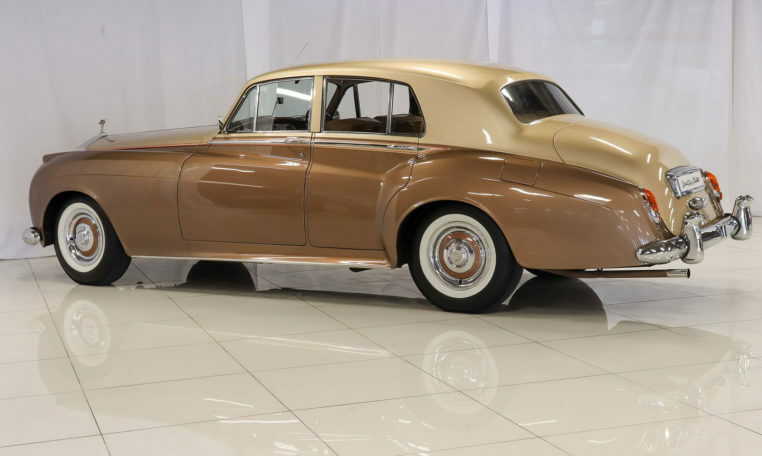 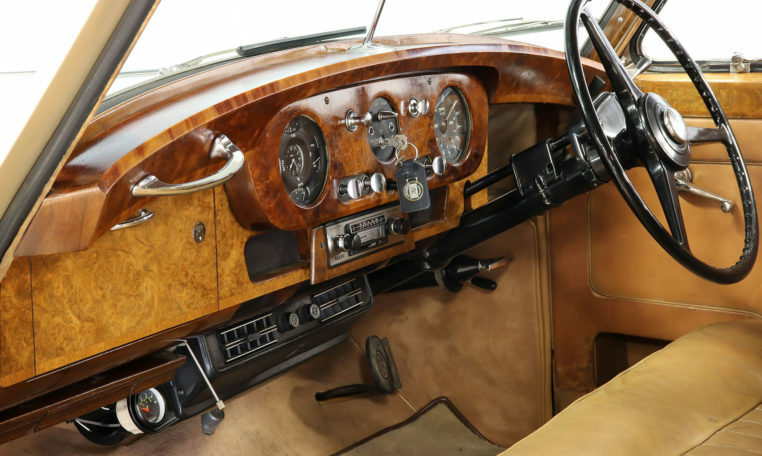 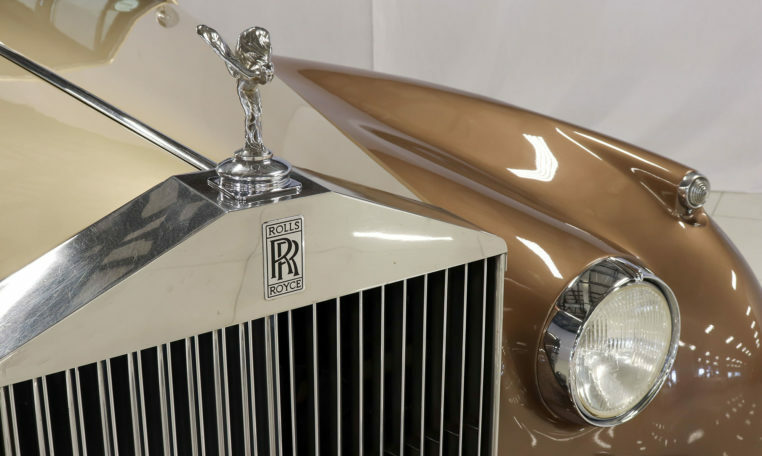 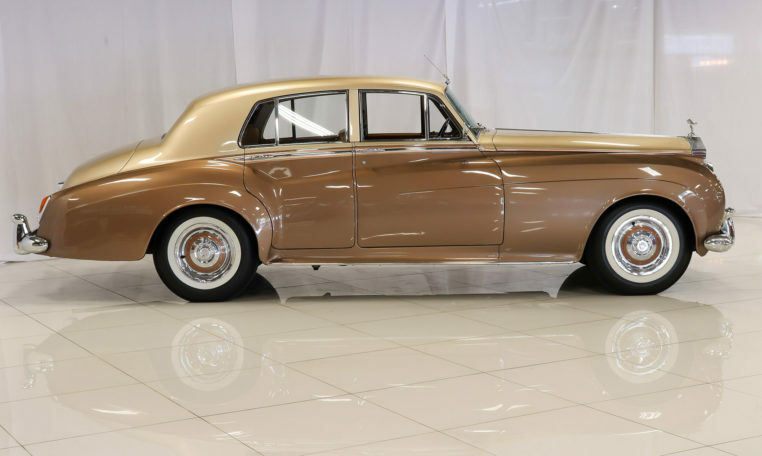 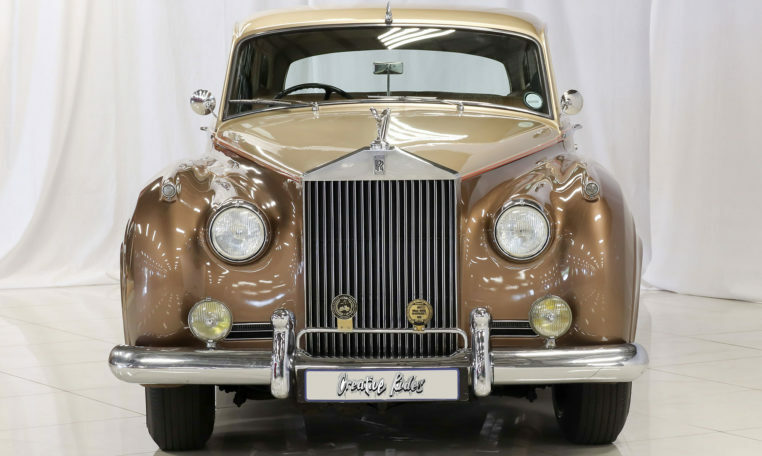 This 1957 Rolls Royce Silver Cloud Mark I is finished in 2-Tone gold coachwork with beige Connolly hide. 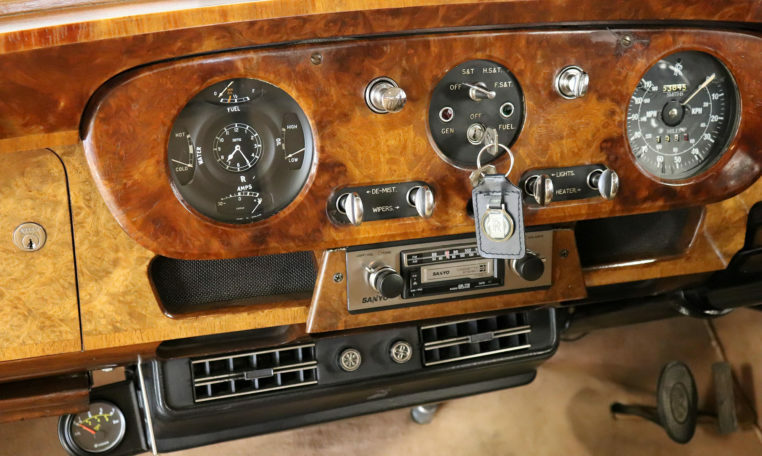 This fine example has been meticulously maintained with its original service manuals and full factory tool set. 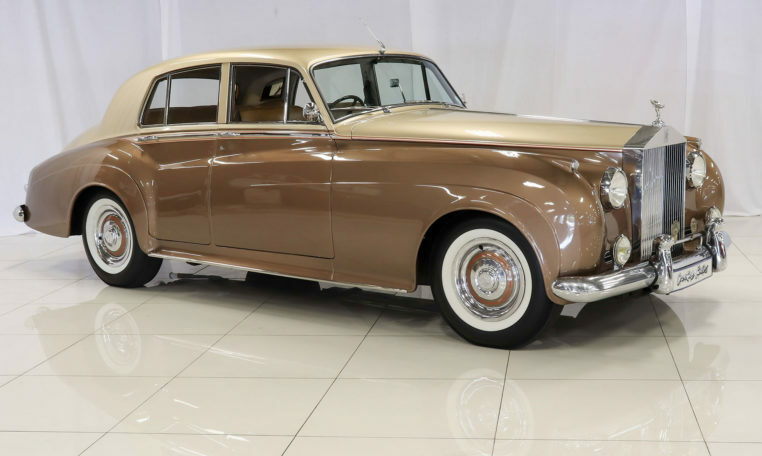 The Rolls-Royce Silver Cloud is an automobile produced by Rolls-Royce from April 1955 to March 1966. 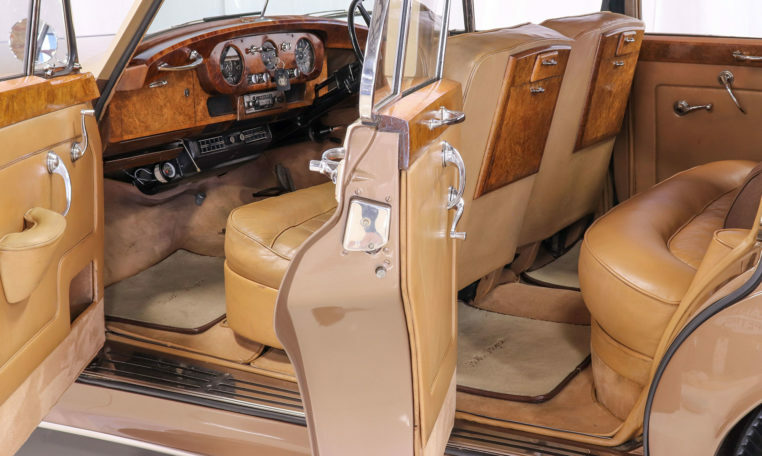 The Silver Cloud Series I, II and III replaced the Silver Dawn and was, in turn, replaced by the Silver Shadow. 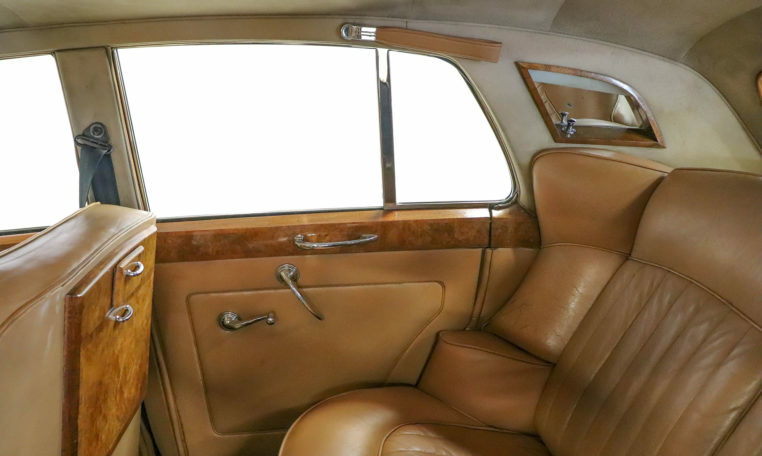 The J. P. Blatchley design was a major change from the pre-war models and the highly derivative Silver Dawn. 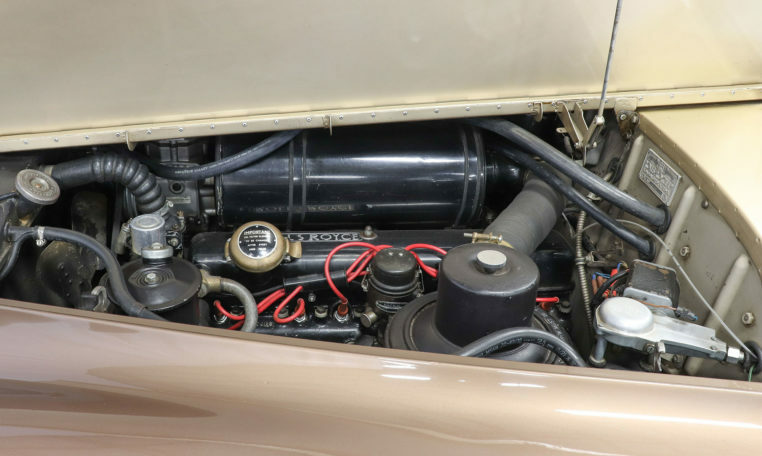 The body-on-frame construction permitted special bodied versions, though the majority had a steel body shell. 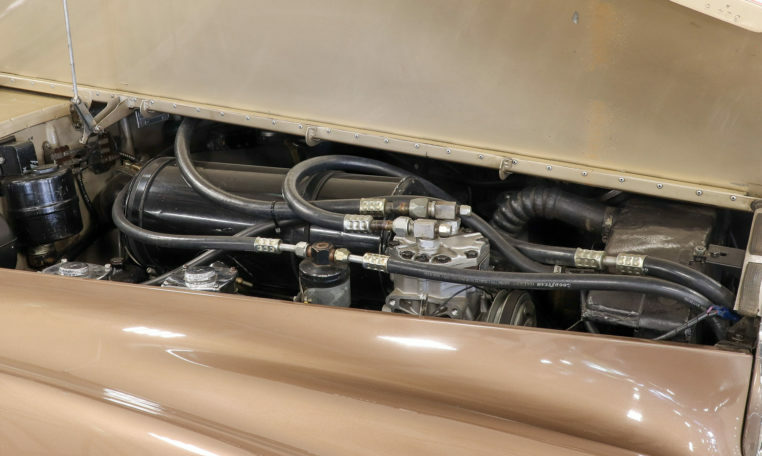 Brakes are hydraulic and assisted by a mechanical servo with 11 inch drums and twin brake master cylinders. 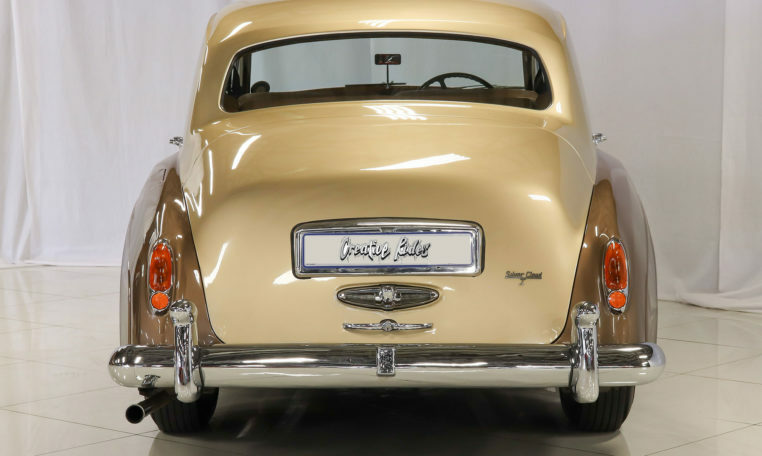 Suspension was independent coils up front and semi-elliptic springs at the rear giving it a drive fit for King.